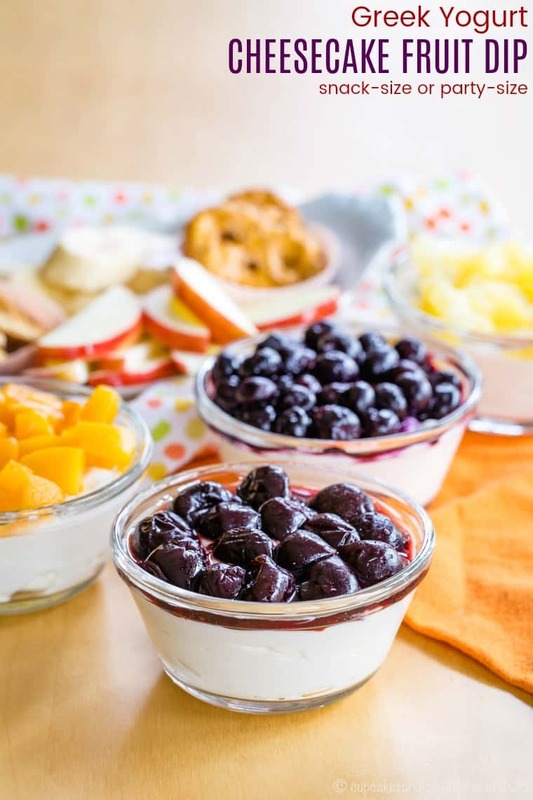 Cheesecake fruit dip is a healthy treat when it is lightened up with Greek yogurt. 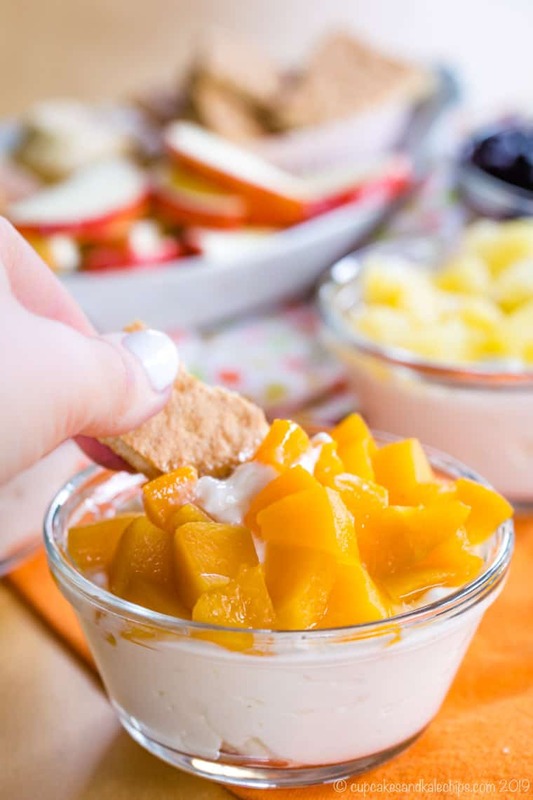 Only three ingredients (plus whatever you choose for dipping) make this cheesecake dip a quick and easy snack hack to whip up for the kids after school. Make a small batch to serve one or two or make it full-size as one of the best gluten-free dessert dips for a party. 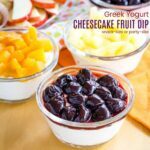 Everyone will love this Greek Yogurt Cheesecake Fruit Dip recipe, especially when you dress it up with your favorite frozen or canned fruit. This has not been a good winter. I’m thrilled that it seems to finally be over. Now I know many places were colder and snowier than Maryland, so I guess I shouldn’t complain. But here it was just gross. Even the snow days weren’t really snow days. They were cold, wet, icy days. Alas, that meant no snowball fights, no snowmen, no snow angels, and no sending the kids outside so I could get some work done. Snacks. Lots and lots of snacks. 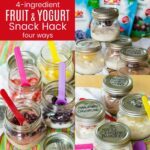 Good thing I am a snack hack master! Not only are snacks my jam, but cheesecake that isn’t really cheesecake but it also healthier than cheesecake is my jam. I make a mean Strawberry Cheesecake Smoothie. I turn cheesecake into a summertime treat with Banana Peanut Butter Chocolate Chip Cheesecake Frozen Yogurt Pops. And for a fun snack for this kiddos, I love making these Peanut Butter Chocolate Chip Cheesecake Apple Nachos. 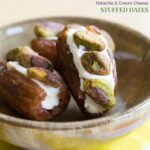 So naturally, I also turn cheesecake into a yummy cream cheese dip! And while I love Strawberry Chocolate Chip Greek Yogurt Cheesecake Dip, I knew I needed something even faster and easier! Let your cream cheese soften to room temperature. 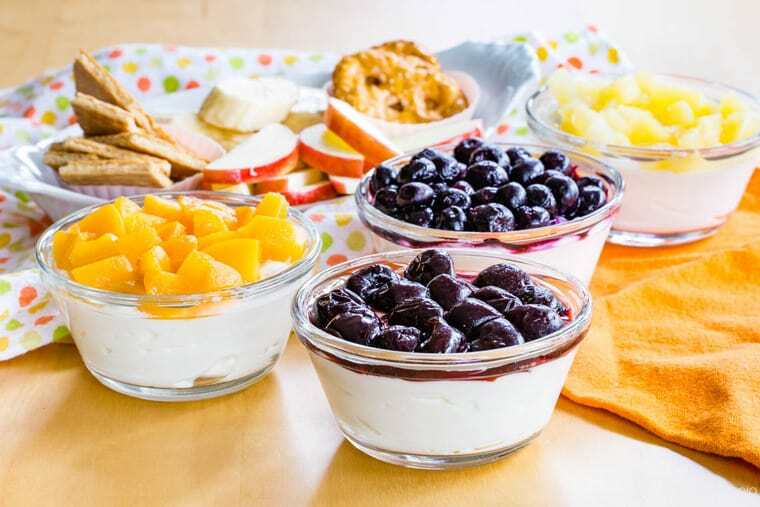 While not essential, having your yogurt at room temperature will ensure your dip has the smoothest, creamiest texture. Stir together cream cheese and vanilla Greek yogurt. Add your favorite fruit topping. I like to used my favorite Dole thawed frozen fruit or drained canned or jarred fruit. 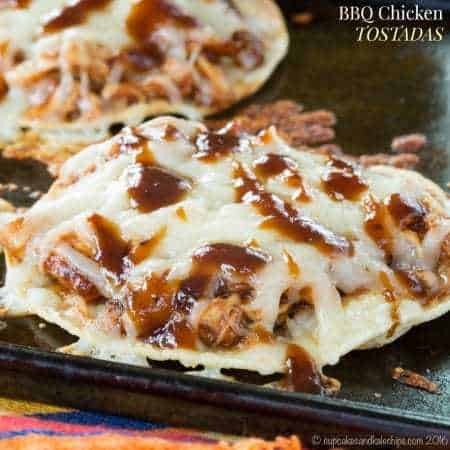 You can make enough for one or two as a quick snack for yourself or the kids. Or make a larger batch to set out at a party. 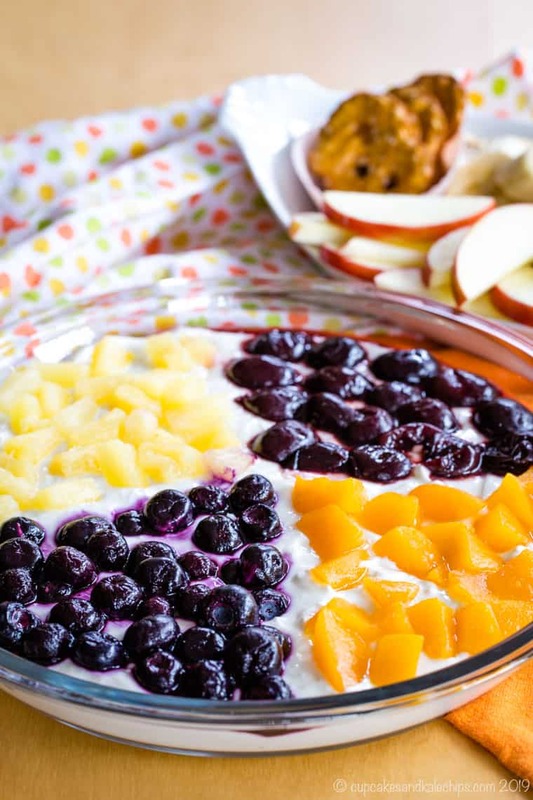 Use one topping for the entire thing, or use a few different fruits so everyone can dip into their favorite section. 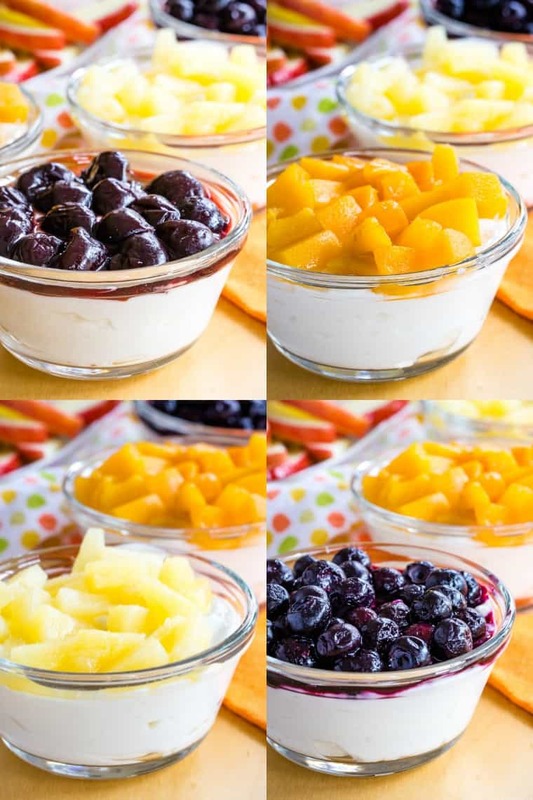 What can you use as a topping for Greek Yogurt Cheesecake Fruit Dip? While cheesecake dip is certainly delicious on its own, you can make it even better with fruit on top. Because who doesn’t love fruit-topped cheesecake? So I just go to my freezer or pantry because I always have fruit from Dole Packaged Foods on hand in my freezer or pantry. Frozen Fruit – thaw your favorite frozen fruit, like dark sweet cherries, sliced strawberries, blueberries, or mixed berries to put on your dip. Canned Fruit or Jarred Fruit – drain pineapple tidbits, drain and chop sliced peaches, or even try some mango. 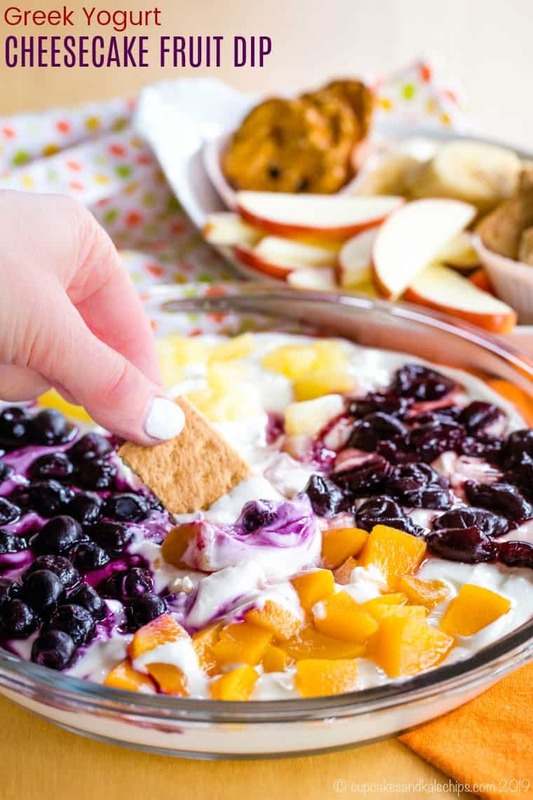 Fruit Bowls – it doesn’t can easier than just opening one of these pantry staples, like diced peaches, tropical fruit, or even diced apples or pears (pro tip: add a pinch of cinnamon into your cheesecake dip with these). What can you dip into cheesecake dip? To keep this as a healthy snack, I like to this as a fresh fruit dip. Sliced apples or pears, strawberries, even banana slices (as long as they are too ripe and soft) are a perfect choice. A little tip is to save the juice from draining the pineapple to dip your apple slices and bananas. This will keep them from turning brown, but it isn’t bitter like lemon juice. You could even try dried fruit, like Dole California Whole Pitted Dates. Pretzels are perfect if you love the sweet and salty combination. And to really get the full cheesecake effect like the classic graham cracker crust, graham crackers are always delicious. 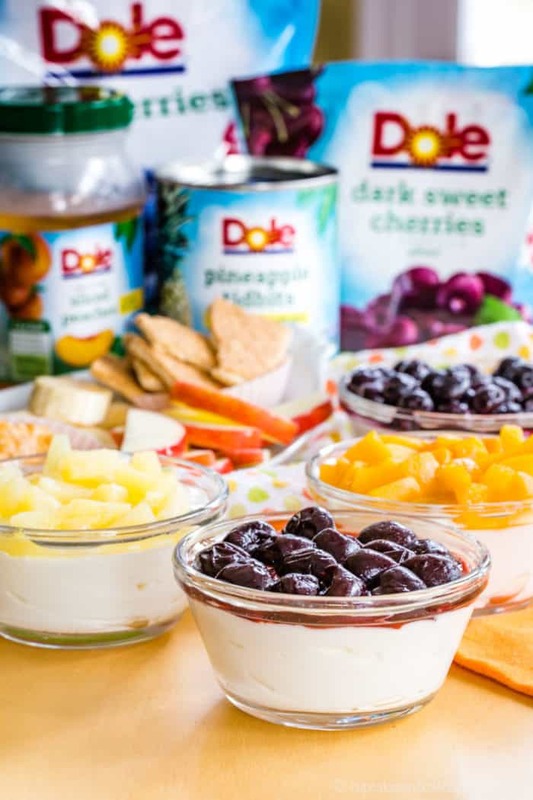 I am proud to be partnering with Dole Packaged Foods to create recipes featuring their highest quality and GMO-free fruits and veggies. You can always find Dole in my freezer and pantry, and often in #BugsLunchbox. I am thrilled to share ways to use their products to make it easy to get more fruits and veggies in your diet in a no-fuss way. Find out more about their products by following Dole Sunshine on Facebook, Twitter, Instagram, and Pinterest. 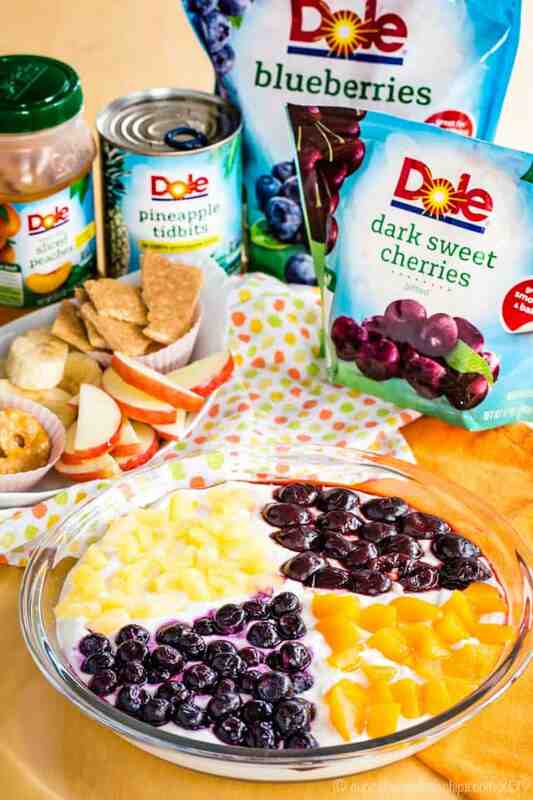 What are some other easy snack hacks you can make with Dole Packaged Foods? 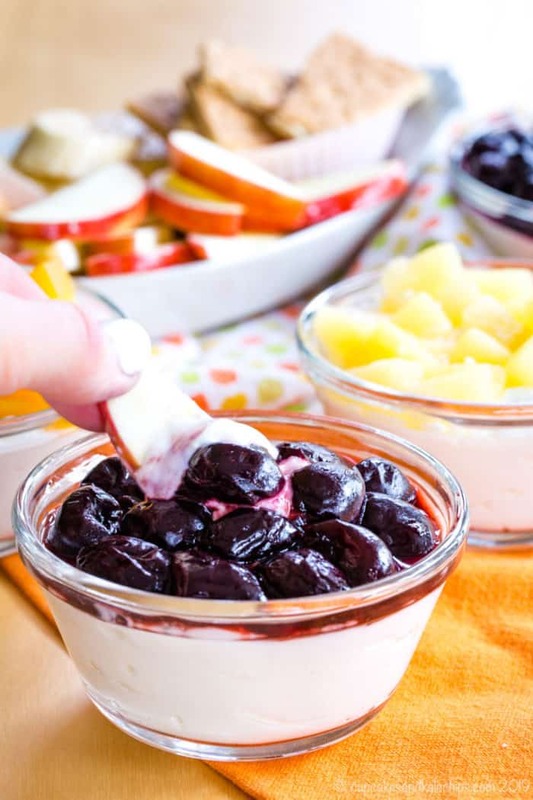 This three-ingredient cheesecake dip will be a lifesaver when you need a fast and healthy snack. 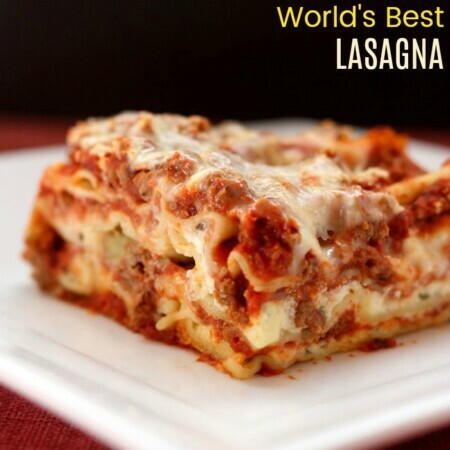 Make a small batch when those afternoon hunger pangs strike you or the kids. Or try the full-size version to bring along when you have a last-minute party invitation or want a quick treat to feed a crowd. Then customize this cream cheese fruit dip with your favorite fruit toppings and dippers for a snack hack everyone will devour. 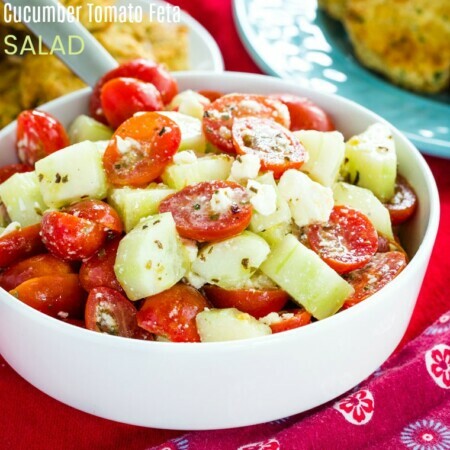 In a bowl, whisk together the cream cheese and Greek yogurt until smooth. 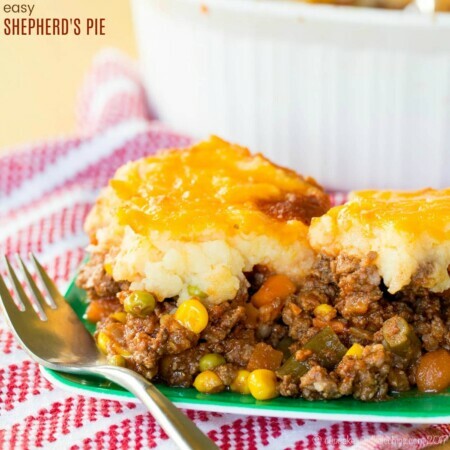 Transfer to a desired bowl, custard cup, or pie plate for serving, and spread evenly. Top with jarred, canned, or thawed frozen fruit. If making the party-size, you can use multiple types of fruit and top each section with a different type. Refrigerate until ready to serve. Then serve with apple slices, strawberries, graham crackers, pretzels, etc. for dipping.